Enterprises no longer keep data on PCs and on-premises servers — instead, they use computers, tablets and smartphones to access public or private clouds where the data is processed, organized and stored. Smart gadgets — including Amazon Echo, Apple TV and Nest Thermostat — have content and the domain logic in the cloud, and so do mobile applications. Nearly all companies (96%) rely on infrastructure, hosting and data processing facilities provided by prominent cloud computing companies. Furthermore, cloud computing plays a pivotal role in the Internet of Things’ further development and adoption, as the implementation of cloud managed services including Amazon IoT Core, Azure IoT Hub and Google Cloud IoT allows business disruptors to boost connected systems’ cognitive power, scalability and performance at a reasonable cost and with less development resources involved. Through 2019, however, 45% of information generated by IoT solutions globally will be processed, stored, analyzed and acted upon at the edge of a network. Notable researches including Cisco, IDC and IEEE Network consider edge computing — a mesh network of smaller data centers which allows IoT data to be processed closer to where it is produced — a silver bullet solution to the Internet of Things’ numerous problems including latency, bandwidth optimization and, particularly, security. In this article, we shall examine the key advantages of edge computing compared to centralized cloud data management. Cloud Reimagined: Why the Edge Matters? IoT is a complex ecosystem where different objects — i.e., devices with built-in connectivity and nonelectronic objects enhanced with sensors and tags — gather environmental or performance data and exchange it over a network. In recent years the functionality of enterprise-grade IoT solutions has evolved from routine asset tracking and historical data analysis to predictive maintenance and autonomous decision making. Meanwhile, the global connected device pool will exceed 30 billion units next year. The gadgets are expected to produce close to 2.5 quintillion bytes of data daily — and it will become practically impossible to process all this information on the infrastructure level due to technical and energy constraints. The major drawback of cloud-based IoT systems, whether we talk about Smart Home products or industrial equipment, is that whenever users trigger an action — for instance, request device status data over a given period, — the software tier needs time to capture the command, send it to the server and wait for response before presenting the information in graphic form. With edge computing, IoT data is partially stored and processed locally; the technology enables companies to reduce traffic to the central data repository and get response faster, which can be a game changer in fintech, digital healthcare, supply chain management and smart transportation. To elaborate on the subject a little further, let us study the example of a connected oil rig solution designed for effective monitoring and increased worker safety. A typical connected rig can use up to 30 thousand sensors to track key performance indicators such as rotating hours, pumping speed and stroke count. Nevertheless, only 1% of the information gathered by the equipment — for instance, gas and fire detection sensor readings — presents significant value to mining companies and needs to be processed in real time to detect abnormalities and prevent major accidents. The remaining 99% is the so-called status data which can be applied to train predictive maintenance models, but does not require real-time analysis. To reduce the amount of data traversing the network, companies should analyze important IoT data on the edge level, while status data could be compiled and sent to the central repository on a daily basis. In order to extract relevant data and process it on the edge, however, we need Artificial Intelligence running on IoT gadgets. According to Tractica’s recent report, the amount of AI-enabled connected devices shipped globally will reach 2.6 billion units by 2025 (up from 161.4 million last year). Modern hardware — i.e., consumer electronics, connected equipment and sensors — are mostly capable of supporting the power and capacity of AI algorithms; some of the early examples of on-device AI solutions include surveillance cameras, delivery drones with computer vision capabilities and self-directed industrial robots. From the infamous 2016 DDoS attack that targeted Dyn servers — alongside Twitter, Reddit, Spotify and other prominent websites hosted by the company — to hacked insulin pumps and semi-intelligent electronics abandoned by their manufacturers, the Internet of Things has a solid track record of security issues that remain to be solved. IoT vulnerabilities stem from connected devices’ small size and limited computing power, as well as hardware design flaws and firmware update constraints. Combined, these inconsistencies may compromise devices and IoT system core by providing hackers with an easy point of entry into a network. Additional security concerns are associated with moving data back and forth between the devices which comprise an IoT solution and the cloud-based infrastructure. Thus, IoT security should be reinforced on the network level, and the edge might be the perfect place to “inject” security between vulnerable devices and the rest of the network. Localized data analysis can indeed reduce exposure to privacy, compliance and data residency concerns; still, there are two sides to every coin. By adding more devices with data acquisition and processing features to a network in multiple locations may trigger even more cyberattacks! Although edge AI can help businesses minimize security risks, a holistic approach to edge-driven Internet of Things development is required. The strategy should encompass end-to-end data encryption and multi-factor access control, over-the-air (OTA) firmware updates and continuous security audit. An overwhelming majority of companies which currently utilize IoT solutions or have enterprise-grade connected systems in the prototype stage cite data overload as the key barrier to capturing and analysing sensor data. Edge computing can help businesses combat the data deluge by facilitating data acquisition, aggregation and processing. Nevertheless, the decentralized approach to IoT data management calls for robust AI capabilities implemented both on the infrastructure and device level and may cause cybersecurity accidents. 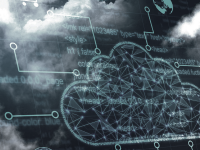 To improve IoT analytics and security, a healthy balance of cloud and edge computing is needed, since centralized cloud-based data repositories will always have more storage and processing power than edge devices. Fog computing — i.e., the implementation of intermediary computers, networking devices and micro data centers which can segment the incoming traffic between the data source and the cloud — can be considered an alternative to pure edge computing in cases when data analysis cannot be performed on the device. Greater availability of cloud-managed services such as AWS Greengrass makes it relatively easy for smaller companies to design an effective cloud architecture for an IoT product. However, the choice of an architectural pattern should be based on a company’s unique requirements. Andrei Klubnikin is a Content Marketer at R-Style Lab — a custom software development company based in San Francisco, CA. Andrei has been a tech blogger since 2011 and currently writes for Datafloq, IoT for All, DZone, Clutch.co, Business.com, Socialnomics, etc.